Tank suction valve is well used on oil and gas drilling mud tank pipeline arrangement. There are different type of valve is using, AIPU supply the tank suction valve as per buyer’s technical requirement. 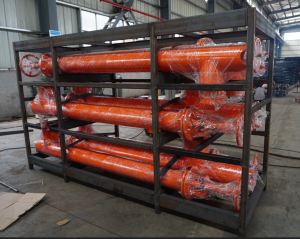 The mud pump suction line, mud mixing line and mud mixing discharge line all works the suction valves to allow the mud can be sucked or discharged into any clean mud tank by valve control. The butterfly valve is well used too because of lower price, but AIPU supply another type of valve which is easier control, convenient operation but higher cost like bellowing picture. 1. Size of valve is the main specification need to be confirmed. 8”, 10” and 12” are the 3 popular size to install on mud tank. The diameter of valve will be selected as per mud flow capacity as per jobsite requirement. 2. Valve outlet quantity and type, there is 2 outlets, 3 outlets and 4 outlets options depending on tank pipeline arrangement. 3. Depth of valve is another specification need to be confirmed depending on mud tank depth, so that the control of valve is on top of tank and minimum total tank height. 4. 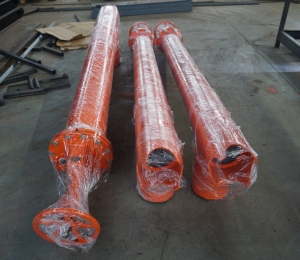 Packing of valve standard supply steel frame to allow LCL delivery and maximum delivery quantity in standard space. Plastic wrapped to the valve to protect painting. Butterfly valve, ball valve or other kind of valves can be supplied as per technical requirement too. AIPU is a top mud tank supplier, we supply all standard mud tank spare parts like mud agitator on tank top, centrifugal pump on tank skid, mixing hopper, mud gun, etc. Please contact AIPU freely for mud tank or tank spare parts freely.